We took a smaller coaching team this year in line with the reduced number of athletes who were able to attend. Once again the mix of coaches/helpers proved very successful and I offer thanks to all concerned on the juniors’ behalf for all the work that was done to ensure a successful week. The experience of the senior coaches and enthusiasm of the younger ones ensured that logistics went smoothly and exercises were ready when athletes arrived at the areas. Julie Emmerson and Michael Adams took the lead role under Nev’s guidance for one of the coaching groups and did an excellent job with their athletes. Katie Wright joined the team again to build on her experience from last year and should be encouraged to take a Level 2 qualification next year. Aidan Rigby, Ella Gilbert, Matt Fellbaum and Pippa Dakin joined the forest team for the first time this year and all showed an excellent aptitude for coaching and should be encouraged to attend more tours in the future. The athletes had a wider level of ability/experience this year but the level of staffing enabled all to have relevant input from the coaching team. A week at Lagganlia did much to improve confidence and in this year’s tour championship races the athletes performed really well and the spread of finish times was much reduced than in previous years. All athletes came well prepared in terms of appropriate clothing and attitude towards training. There were no discipline problems and the athletes kept good time. Briefings, evening sessions and departures for the forest all kept to schedule. Organisation of transport arrangements to and from Lagganlia was left up to parents. Athletes were met at Aviemore station and transferred to Lagganlia by minibus. One athlete was also picked up at Inverness airport from an early flight, too early for picking up minibuses which meant an extra journey to Inverness. 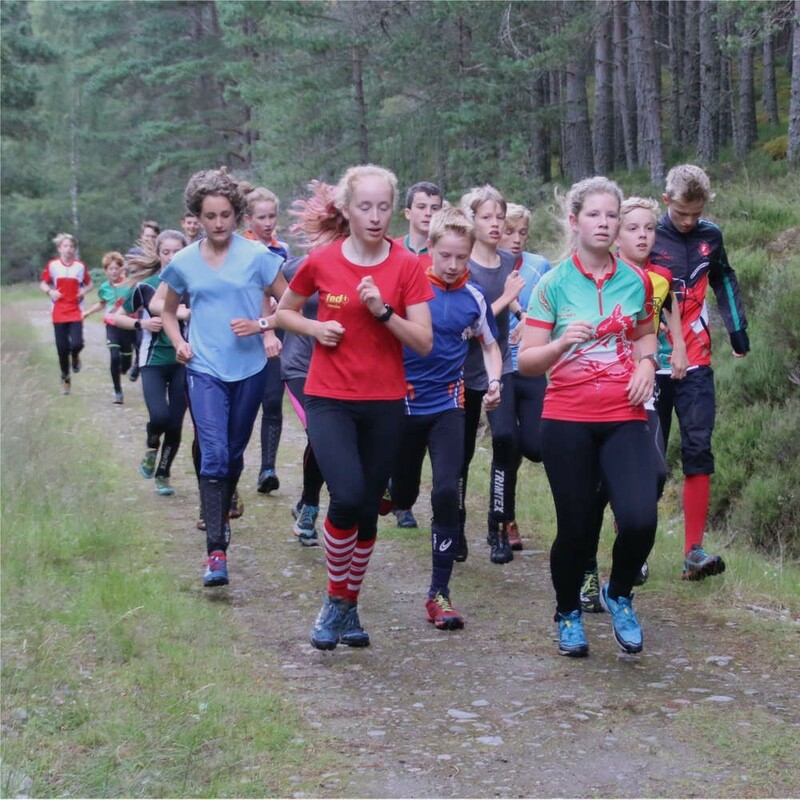 Most athletes arrived on the 16.19 train at Aviemore which enabled us to get them quickly settled in, fed and then make good use of the time on Saturday evening. Going home was straight forward as most left on the 8-30 train from Aviemore, or were picked up by parents. Two athletes flew from Inverness airport and even though flight times were spread out arrangements worked well. Roger was able to take one early and then took the opportunity to complete the Inverness Park Run before heading to the minibus hire depot to pick up the drivers. The second athlete was taken by minibus before the bus was returned in nice time to meet Roger for the journey back to Lagganlia. Once again two 17 seat minibuses were hired from Focus Vehicle Rental in Inverness and were used for transport to and from the areas. We had 5 designated drivers for the week who were covered to drive any of the buses. This gave flexibility for the organisation of forest sessions and ensured that there were at least 2 adults in each bus for every journey. The forest team used one car each session. At least one other car was used each day to ensure a spare vehicle for use in case of an emergency. Sgorans (16 beds); Social and meeting/presentation area, girls and coaches dormitory. Hillend (18 beds); Cooking and eating, boys and coaches dormitory. Marie and Hazel continued with the high standard of catering that they produced last year. The quality of meals produced was excellent and empty plates spoke for themselves. This year we didn’t have a BBQ on the rest day but had an informal buffet with all the BBQ trimmings instead. This worked really well especially as the heavens opened and we would have been unable to cook outside. It isn’t easy to ensure that the athletes and coaches are well fed and able to make the most of the days out in the forest so Marie and Hazel have our gratitude for their hard work in keeping us well fed and watered. Not having to worry about the catering side made my job easier so special thanks to Marie and Hazel on my part. Sunday AM; Uath Lochan. Compass work and pacing. Warm up routines. Star relay. Sunday PM; Inshriach, chequerboard area. Fine orienteering, control descriptions and visualisation in the circle. Monday AM; Loch Vaa. Simplification, relating map to ground, visualisation. Map walk and map memory. Monday PM; North Granish. Sketch maps, 3 person relay. Tuesday all day; Roseisle. Contour Day. Simplification, contours as line features, attack points and catching features. Longer legs. Warm up routines. Odds and evens relay. Wednesday PM/evening; The Rings (Badaguish), Swimming (Loch Morlich) Shops (Aviemore). Lagganlia, timed track and terrain runs. Grantown. Athlete centred coaching. Two planned loops, coaches decide on skill/technique focus for athletes in their group. Encourage Talk O.
Thursday PM; Anagach, Peg relay and terrain loops. Friday Evening; Dinner, prize giving, entertainment, packing and cleaning rooms. All coaches/helpers were asked to complete log entries for the athletes they worked with. These contained lots of information and most focused on particular skills and coaching points; and related to how the athletes applied them during exercises. Asking all members of the team to complete log entries gave value to their efforts and enabled the younger and less experienced members of the team to develop their own observational and performance analysis skills. Under the guidance of the senior coaches all coaches were responsible for putting together draft reports for athletes in their groups. These were then passed on to Nev Myers as lead coach to ensure consistency across all reports. All athletes left with three areas to work on in the coming months. We continued operating the First Aid clinic. After training each day anyone with an injury, or who had first aid administered during the day, had to report to Wendy to ensure all details were recorded and appropriate follow up taken. Next morning all who had attended the evening clinic had to see Wendy between 8-15 and 8-30 for any treatment, e.g. blister covering, and to get the OK for training that day. Group coaches were informed of any concerns. This year we had an incident where an athlete had to be taken to hospital. Oscar was running along a ride at Uath Lochan, stepped onto a fallen tree trunk and slipped. As he fell he put his hand out to break his fall and in so doing dislocated his left elbow. The accident happened in sight of the activity base and Oscar was seen to fall and not get up. One athlete ran to his aid and others quickly informed me of the fall. I went out to Oscar and it was obvious that the elbow was dislocated. He was in some pain but coping well with the injury. He was able to walk slowly back to the base where he was examined further and the decision made to get him to the medical centre in Aviemore as soon as possible. There was no mobile signal in the area and by the time someone could have got in range to make a call Oscar would have been well on the way to Aviemore. So Oscar was given a chair carry back to the car park, made comfortable and taken on to Aviemore. At the medical centre he was seen quickly by the Doctor who confirmed the dislocated elbow and administered pain killers before arranging for an ambulance to take him to Inverness hospital for an X-ray. With a confirmed diagnosis I contacted parents to inform them of the accident. I travelled with Oscar to hospital and after the X-ray the consultant decided that they would take him to theatre to put his elbow back in place. Once Oscar was returned to the ward and settled for the evening I was then picked up by Roger and returned to Lagganlia. healing and a new lighter pot had been applied. Further comments on the incident are included in the conclusion. The safe arrival and mid-week e-mails were sent again this year and were well received by parents. Knowing the difficulty of making mobile contact from Lagganlia and that the parents appreciate the contact, I recommend the use of e-mails again next year for the arrival and midweek updates. All athletes were provided with a questionnaire at the end of the week which reflected a very positive experience for all athletes. The majority of comments for improvement included less midges, better weather and Wi-Fi which are beyond our control. Following a comment midge nets will be added to next year’s kit list. Mobile reception in the remoter areas around Lagganlia is not good so if the patient is mobile and can be moved comfortably without further injury then it would be quicker to get them to the medical centre by car rather than driving round hunting for a signal and trying to get an ambulance or mountain rescue. Ambulance availability in the Aviemore area is not generous and if there had been a more serious incident to be dealt with then the wait for an ambulance could have been much longer. Aviemore Medical Centre was very efficient and quickly dealt with Oscar. Both the Medical Centre and hospital were complimentary over the information at hand on the Athlete medical and data forms. Good communication with parents was important to keep them informed. Phone calls, e-mails with photographs of Oscar involved with the other athletes did much to put their minds at rest. With careful risk assessment and management Oscar was able to take part in some of the planned activities. Where the activities were too demanding he was involved by helping with checking in and out, starting timed runs and other small organisational tasks. He enjoyed the days that he was able to stay and it helped him become part of the group. It can be worthwhile keeping an athlete on tour providing they are able to participate in some way. This may well depend greatly on the individual athlete concerned and the nature of the injury. I was unable to participate in the training as much as previous years so don’t feel I know the athletes as well as in previous years. However my absence didn’t impact on the juniors as there were sufficient experienced staff available to maintain the activities and deal with the extra demand of managing the injured athlete. School holidays may present a problem next year as English school’s have end of term dates ranging from 14th July to the 26th July, with most finishing on the 21st July. The Scottish 6 Days begins on Sunday 30th July. I propose keeping Lagganlia at the week prior to the 6 Days and booking the week 22nd to 29th July. I am sure that schools will authorise absence at the end of term to attend Lagganlia, especially if a letter can be written to the school on behalf of the athletes. Really fun. Have learned lots. Made lots of new friends. I have had great fun running, navigating and using different skills. I also enjoyed training with Jonny and Matt. It was really fun and enjoyable. If I could I would come again. The bus journeys were really funny/great. Useful, fun training with a nice mix of exercises. Really enjoyed meeting new people and had a really good time. My best time orienteering ever! Amazing terrain, testing exercises and brilliant coaches with valuable advice. I loved all of it. Challenging, hard, great, helpful, friends, fun, banter, good areas, laughs, technical. Lagganlia was really fun, challenging and tiring. I enjoyed a lot of the exercises and areas. Lagganlia was really fun and quite intense. I thought most of the exercises were very good, but some of them I had already done quite a lot on. It was brilliant to meet new people and I liked the quantity of training. I particularly liked the talks and that was where I learnt some new skills that I put into practice in terrain. The areas were brilliant! I loved Lagganlia especially because of the amazing areas and meeting new friends and the food was very, very good. Fun, informative, interesting, great experience, met lots of new friends, lots of midges, tiring, achy legs, hilarious, greatest week ever. I have learnt a lot at Lagganlia with the help of my coaches and to know my strengths and weaknesses. This was an amazing experience. Beautiful and technical forests, great coaching, made friends, had lots of fun. Delicious food too. Fun, informative, developmental, exciting, tiring, too many midges, leg aching, fantastic experience, new friends, interesting, best time and people, coaching was great. Lagganlia was fun, educational and a great experience. It was great getting to know the other athletes in your age group. Lagganlia was great! Made so many new friends and learnt so much. Training was brilliant. Very tired but very happy. I loved it. I’m really tired but I met great new friends and the training was really fun and useful. 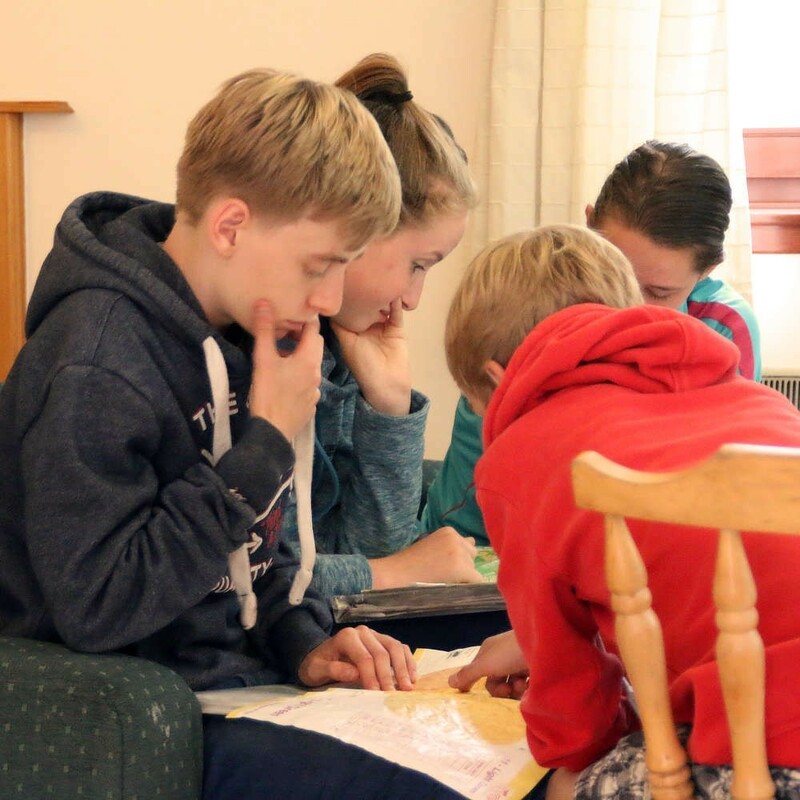 I found it really fun and informative and I really improved my orienteering. I made great friends but it was very tiring. Great fun, lots of helpful support from coaches, not just in the forest. New friends, fantastic experiences. Lots of improvement. Nominations must be received by the Chair of JROS Selectors by 3rd May 2016. Qualifying standard; M/W14’s Juniors being nominated will have achieved championship standard in at least one of the above races.